As New Horizons flew past Pluto and Charon at 30,800 miles per hour on July 14, 2015, its closest approach was at 7:49 am eastern time at 7,690 miles, just 74 seconds early and only 45 miles off! New Horizon's trajectory took it behind Charon, falling into its shadow. This allowed New Horizons to potentially see any atmosphere and to analyze the sunlight going through it by making use of ALICE. Also, by passing behind Charon, the LORRI instrument was hoping to see Charon-glow on Pluto, or the light bouncing off the surface of Charon illuminating Pluto, allowing mapping of the night side of Pluto to occur (Howard). The red pole of Charon, named Mordor, has a darker inner zone of 170 miles with an outer zone of 280 miles. It is either a result of UV light reducing material falling down on it (likely from Pluto) to tholins, a type of carbon compound, or the aftermath of an impact. But data seems to point to the former theory. 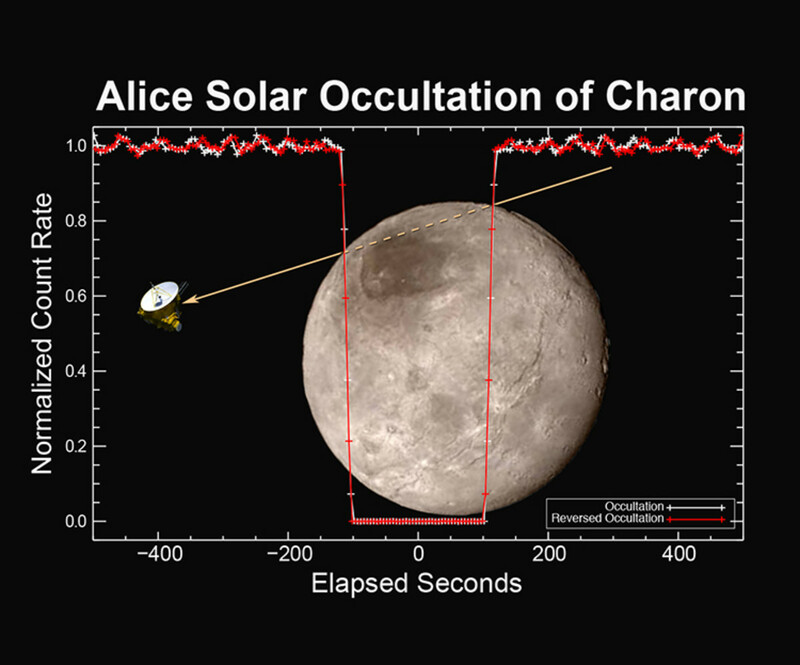 After examining New Horizons' data, scientists think aerosols from Pluto escape its atmosphere and fall into Charon's gravity field where they accumulate at the pole. Once there, the methane is bombarded with UV radiation and is converted into methyl radical (as a result of a hydrogen being kicked out of methane during the radiation hit) Those radicals end up joining with each other as well as nitrogen and are converted into the red tholins we see. It doesn't even take "much" of the gases escaping from Pluto for this model to work, just 2.5%. That translates to about 270 billion particles hitting a square meter on Charon each second and after a few million years translates to a surface we see today at the poles with a depth of 0.16 millimeters. The rest of Charon's surface seems to be about 4 billion years old, when the moon formed. The biggest surprise? Most of Mordor's surface is water ice and when in combination with the tholins gives the bright red we see (Stern "The Pluto," Stirone, Johnson, BEC Crew, Choi). After high resolution pictures of Charon were released, new results came flooding in. Amongst the interesting findings was canyons that are 4 to 6 miles deep and cliffs which go on for over 600 miles. But even more bizarre was how smooth it is, indicating a geological recycling of the surface via some mechanism. 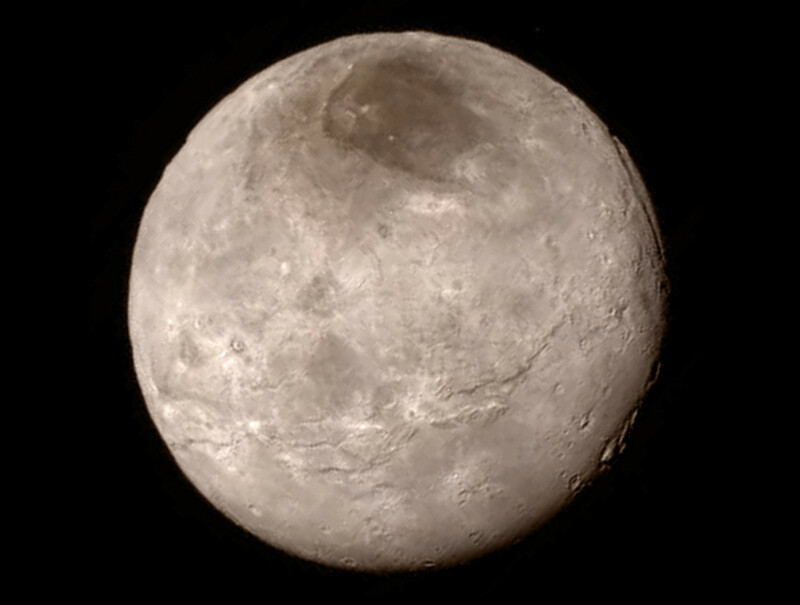 Pluto is considered to be too small for geological activity, so how could Charon have it? Maybe a collision in the past caused it to be partially molten again, erasing any craters from the surface (Yuhas, Stromberg, Betz, Hupres). It also makes the giant canyon seen around the moon hard to explain, for it should have been erased in a collision big enough to cause that smoothness. On top of that, the canyon may extend further around the moon than previously thought, over a 1000 miles total. It seems to point to a violent collision with the moon which fractured the surface but did not rejuvenated it! Indeed, many cracks and chasms such as the Macross Chasma (which is 650 miles long and many miles deep) are present on the moon. And the southern hemisphere of the moon is smoother than the north, indicating it is a newer surface. Most scientists seem to now think that cryovolcanism is the likely reason, which would be huge especially because the moon shouldn't be geologically active, considering its small size and lack of internal heat. A comparison of Skywalker and Organa, two craters near each other, seems to point to this as well. When examining the ammonia levels of the two, one was off the charts comparatively to the other. How could two structures close together differ so much? If the moon was cyrovolcanically active with ammonia as magma then perhaps one shows subsurface content seeping through (NASA "Pluto's Big Moon," Timmer "Pluto's Moon", NASA "The Youngest," Stern "The Pluto" 28, Hupres, Stern "Hot" 33). Remember how LORRI didn't see signs of an atompshere? Well, one of the findings of December of 2015 was the nature of a possible atmosphere surrounding Charon. LEISA found that all over the surface of Charon is a low-level absorption of ammonia. This seems to point to a possible link to the concentrated, high areas seen elsewhere on the moon where levels were present, but whether the process resulting in ammonia is internal or external is not known (NASA "New Findings," Stern "The Pluto" 28). In February of 2016, scientists announced that Charon's fractured surface might hint at a subsurface ocean that has long since vanished. When Charon formed, radioactive material would have heated water to a liquid phase. But eventually that fuel ran out, and the ice froze and expanded, pushing the surface of Charon outward and therefore fracturing it While the surface itself shrank. Surface spectrometric data shows that water is on the surface of that moon, and many of the ridges on Charon point to a stretch (for they line up nicely, similar to the coast of South America and Africa) which would arise from a frozen ocean. Rifts as deep as 4 miles exist on Charon's surface, possibly giving scientists a way to examine for further clues. 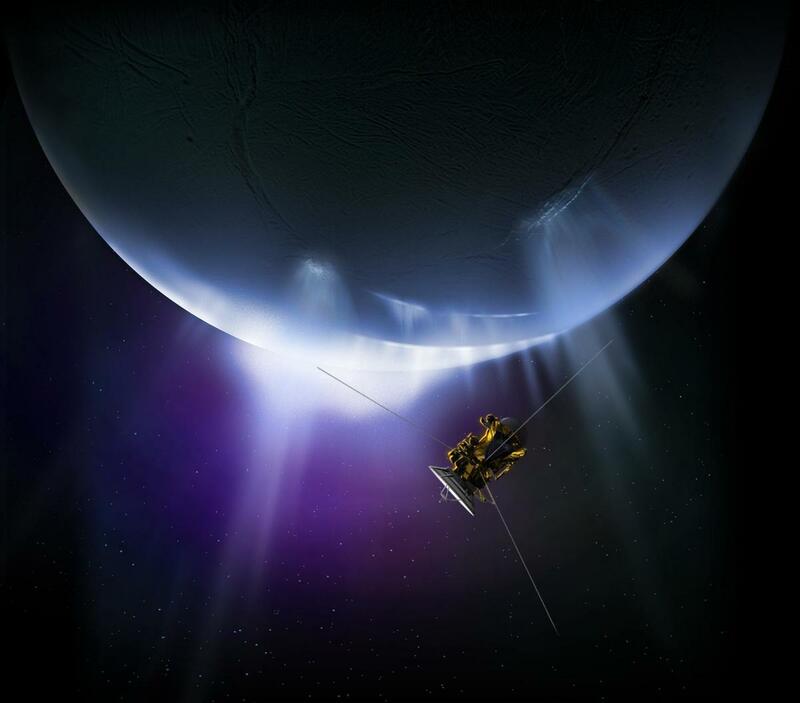 Tidal forces would also help explain the fracturing on the surface and lead more to the variable spin rate seen (Berger "Far," NASA "Pluto's Largest," Eicher, Haynes "Charon"). 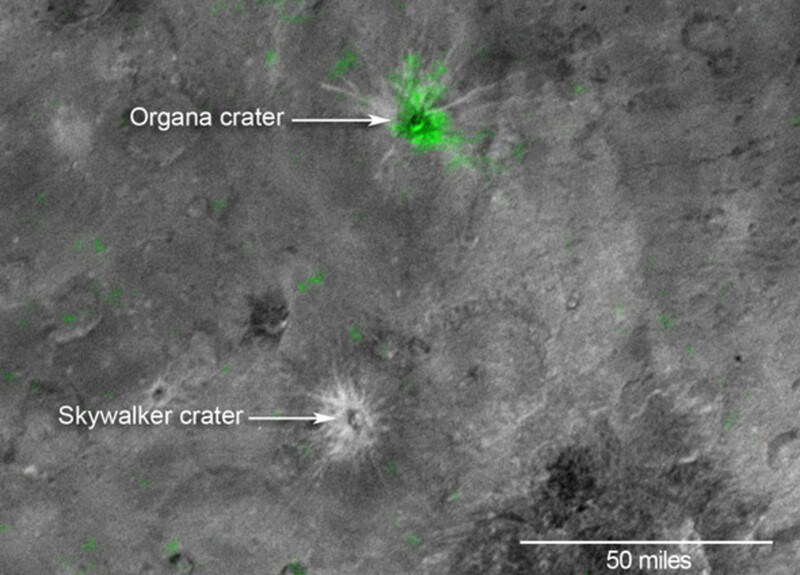 In another study by Kelsi Singer, the surface of Charon seems to have craters no bigger than 8 miles across, hinting at a lack of small objects around to impact it. This was determined after examining the Vulcan Planitia, a relatively fresh surface portion of Charon which is young and smooth from cryovolcanism yet lacks those craters mentioned before. If an older piece of surface didn't have them that could be because of space weathering but for a new surface those traces should still be intact. This implies that the Kuiper Belt may have a deficiency of smaller objects in it, likely putting the lower limit at a mile across. This could be because of larger objects collecting them up or it hints at an evolutionary feature of the Kuiper Belt we are unaware of. 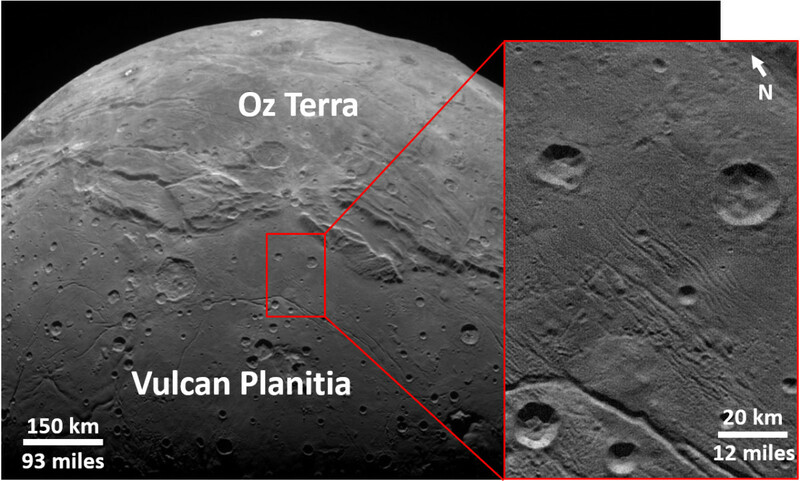 The Vulcan Planitia also provided clues to the potential subsurface ocean of Charon. Any features above the surface like mountains seem to have ice frozen around them, hinting at a once-liquid state according to work by Ross Beyer (Haynes "Craters," Haynes "Charon's," Lovett, Timmer "Craters"). Since we have known about Charon since 1978 we have had more time to study it compared to the other moons of Pluto. 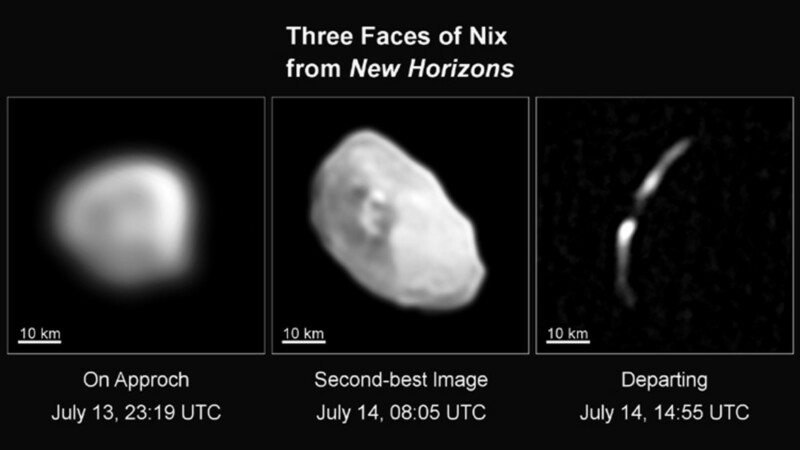 So when better resolution pictures of Nix and Hydra were released, scientists got excited. 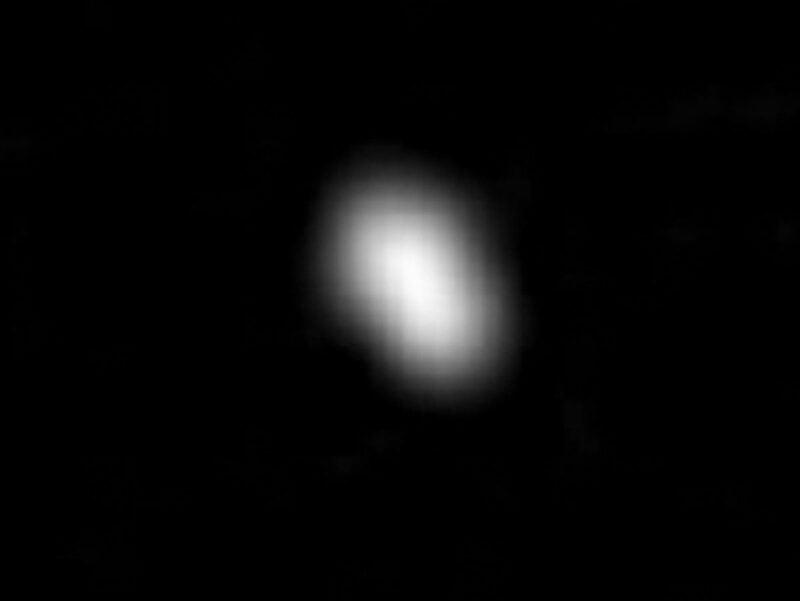 The picture of Nix was taken at a distance of 102,000 miles and shows details as small as 2 miles including in interesting red area against the predominant grey. Based on the shape of it, the red area could be an impact crater. We also now know that Nix is 22 miles in diameter, spins 10% faster than it did 3 years ago, and reflects 43-50% of the light that hits it, pointing to the presence of water ice. 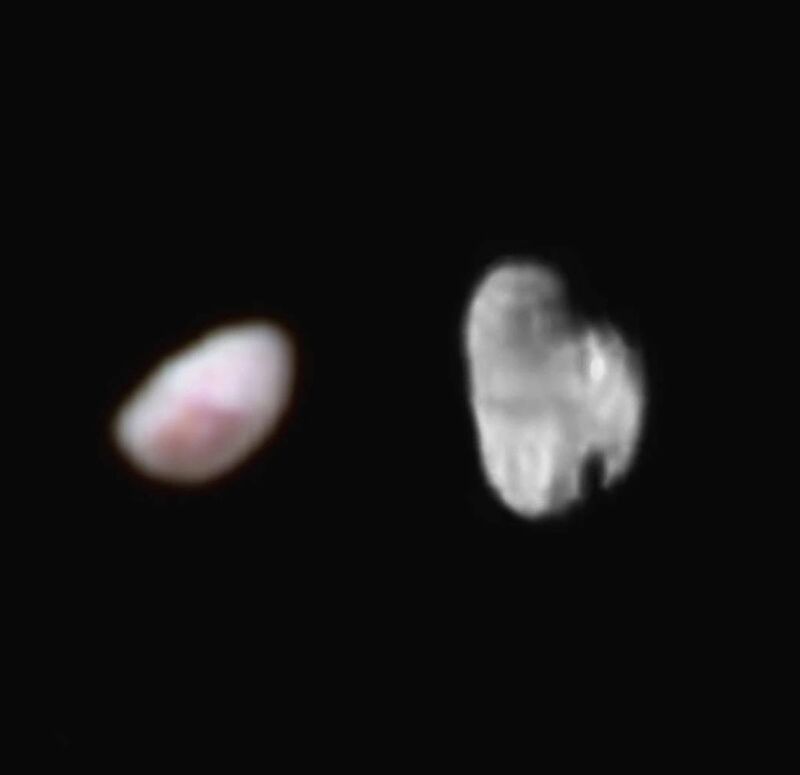 The picture of Hydra was taken from 143,000 miles away and shows details as small as 0.7 miles. Based on the LORRI data, Hydra is about 27 by 21 miles in size, reflects 51% of the light hitting it (again hinting at ice), completes 89 revolutions per orbit around Pluto, has two possible impact craters and a possibly dark half. This indicates a likely change in composition of materials. As for the crazy fast spinning, that could have arisen from a collision or from the moon becoming tidally locked with Pluto (NASA "New Horizons Captures," Thompson "New Horizons Data," Talcott "New," Stern "Hot" 35). And while it may have taken a while, Mid-October of 2015 found us seeing the first images of Kerberos and Styx, meaning that all the moons of Pluto have finally been seen. According to the data, Kerberos is not only smaller than expected but also more reflective as well and is shaped as if two objects collided and merged together. One of these lobes is 5 miles in diameter while the other is 3 miles in diameter. The reflective nature of the surface of the moon hints at a surface of water ice, something that becomes more of a theme for the Pluto system as time continues on. Styx on the other hand is 4.5 miles long and 3 miles wide but also has a highly reflective surface. Based on their shapes, scientists suspect that Styx might be bilobate, or a merger of smaller moons (NASA "Last of," Hupres, Stern "Hot" 34). 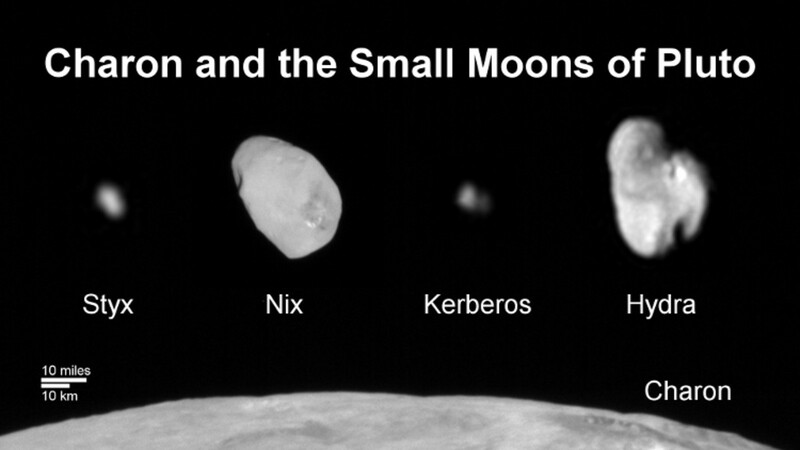 These moons may hide one major secret: they all formed at the same time, but from what? In the 1980s, Bill McKinnon suggested that a giant impact model would explain the formation of Charon (which was the only moon known at the time) and help explain the double planet behavior of Pluto and Charon. Extending the theory to include the other minor moons wouldn't be too hard to fit into the model, but what evidence did New Horizons find to accommodate this theory? First, the water ice covering Nix and Hydra is exactly the amount that giant impact models predict there would be as well as the lack of craters we see on them. Charon's density was revised based off new data and now fits more in line with the model as an object with more ice and less rock. Impacts seem to be a theme in our solar system, whether it be the Earth-Moon system or Pluto and its moons. We have a common thread to our distant friend! (Stern "Puzzled" 24-5). BEC Crew. "Astronomers have finally figured out what that big red smudge on Charon is," Sciencealert.com. Science Alert, 15 Sept. 2016. Web. 08 Jan. 2017. Berger, Eric. "Far-distant Charon May Have Once Has a Large Subsurface Ocean." arstechnica.com. Conte Nast, 19 Feb. 2016. Web. 13 Jul. 2016. Betz, Eric. "Pluto’s bright heart and Charon’s dark spot revealed in HD." Astronomy.com. Kalmbach Publishing Co., 15 Jul. 2015. Web. 18 Aug. 2015. Choi, Charles. 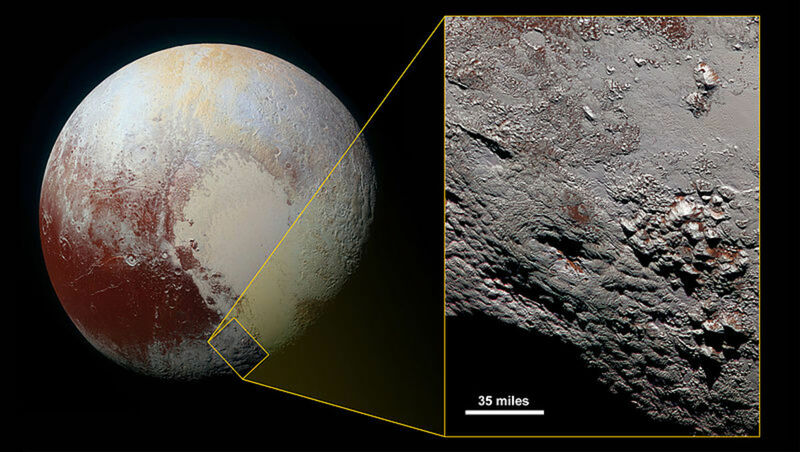 "Trapped Methane Helps Give Pluto's Moon Charon Its Red Cap." insidescience.org. American Institute of Physics, 14 Sept. 2016. Web. 12 Oct. 2018. Eicher, David. "Did Charon Once Harbor an Ocean?" Astronomy Jun. 2016: 19. Print. Haynes, Korey. "Charon Bends and Breaks." Astronomy Sept. 2016: 14. Print. ---. "Charon's icy surface erupted from an underground ocean." astronomy.com. Kalmbach Publishing Co., 05 Feb. 2019. Web. 21 Mar. 2019. ---. "Craters on Pluto and Charon show Kuiper Belt lacks small bodies." astronomy.com. Kalmbach Publishing Co., 28 Feb. 2019. Web. 21 Mar. 2019. Howard, Jacqueline. "NASA's New Horizons Spacecraft Takes Closest Look Yet At Dwarf Planet Pluto." HuffingtonPost.com. Huffington Post, 14 Jul. 2015. Web. 17 Aug. 2015. Hupres, Korey. "Pluto's Moons Revealed." Astronomy Feb. 2016: 12. Print. Johnson, Scott K. "Millions of years for half a millimeter: Pluto puts red caps on Charon." arstechnica.com. Conte Nast., 14 Sept. 2016. Web. 08 Jan. 2017. Lovett, Richard A. "In the Kuiper Belt, a baffling lack of small craters." cosmosmagazine.com. Cosmos. Web. 21 Mar. 2019. NASA. 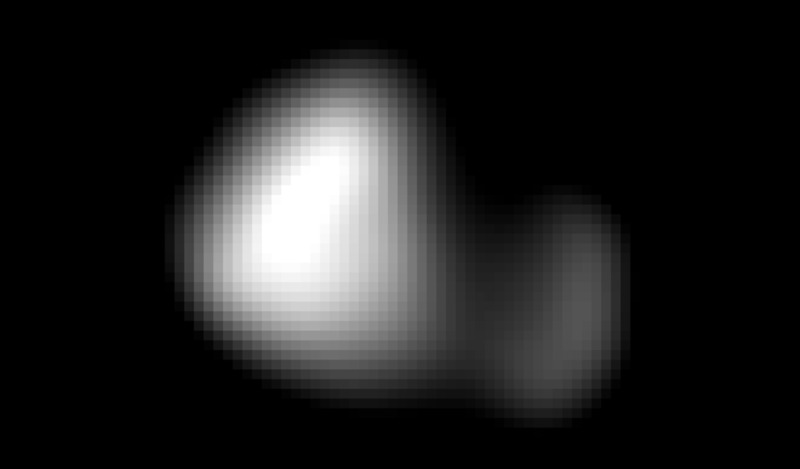 "Last of Pluto’s moons — mysterious Kerberos — revealed by New Horizons." Astronomy.com. Kalmbach Publishing Co., 23 Oct. 2015. Web. 04 Nov. 2015. ---. "New Findings From New Horizons Shape Understanding of Pluto and its Moons." Astronomy.com. Kalmbach Publishing Co., 21 Dec 2015. Web. 10 Mar. 2016. ---. "New Horizons captures two of Pluto's smaller moons." Astronomy.com. Kalmbach Publishing Co., 21 Jul. 2015. Web. 19 Aug. 2015. ---. "Pluto's Big Moon Charon Reveals a Colorful and Violent History." Astronomy.com. Kalmbach Publishing Co., 24 Jul. 2015. Web. 19 Aug. 2015. ---. "Pluto's Largest Moon May Have Once Had An Ocean." Astronomy.com. Kalmbach Publishing Co., 19 Feb. 2016. Web. 13 Jul. 2016. ---. "The Youngest Crater on Charon?" Astronomy.com. Kalmbach Publishing Co., 02 Nov. 2015. Web. 19 Dec. 2015. Stern, Alan. "Hot Results from a Cool Planet." Astronomy May 2016: 33-5. Print. ---. "Puzzled by Pluto." Astronomy Sept. 2017. Print. 24-6. ---. "The Pluto System Explored." Astronomy Nov. 2015: 25, 28. Print. Stirone, Shannon. "Charon is flecked with a smudgy layer of Pluto's atmosphere." Astronomy.com. Kalmbach Publishing Co., 14 Sept. 2016. Web. 08 Jan. 2017. Stromberg, Joseph. "New Horizons' photos from the Pluto flyby are finally here — and they're amazing." Vox.com. Vox Media, 15 Jul. 2015. Web. 18 Aug. 2015. Talcott, Richard. 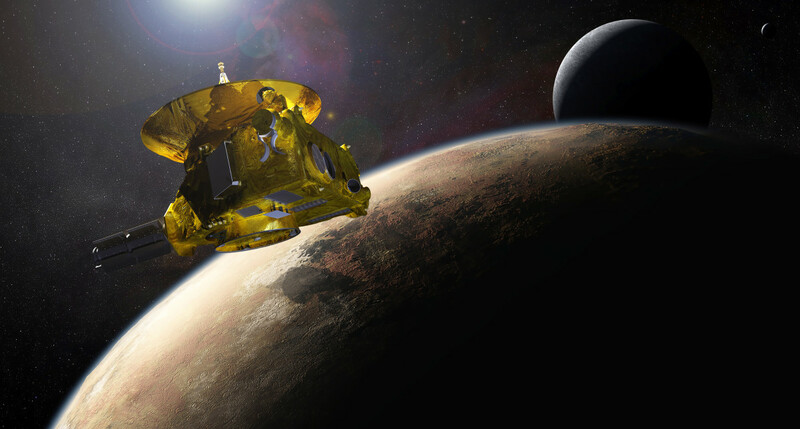 "New Horizons Unleashes Torrent of Pluto Science." Astronomy Mar. 2016: 15. Print. Timmer, John. "Craters on Pluto suggest Kuiper Belt are its smaller bodies." ars technica.com. Conte Nast., 02 Mar. 2019. Web. 03 Apr. 2019. ---. "Pluto’s moon Charon shows fractured surface, signs of recent activity." ars technica.com. Conte Nast., 02 Oct. 2015. Web. 04 Nov. 2015. Thompson, Amy. "New Horizons data shows Pluto’s atmosphere, surface features." ars technica. Conte Nast, 27 Jul. 2015. Web. 19 Aug. 2015. Yuhas, Alan. "Nasa unveils 'surprise' Pluto photos and New Horizons discoveries – as it happened." TheGuardian.com. Guardian News, 15 Jul. 2015. Web. 18 Aug. 2015. 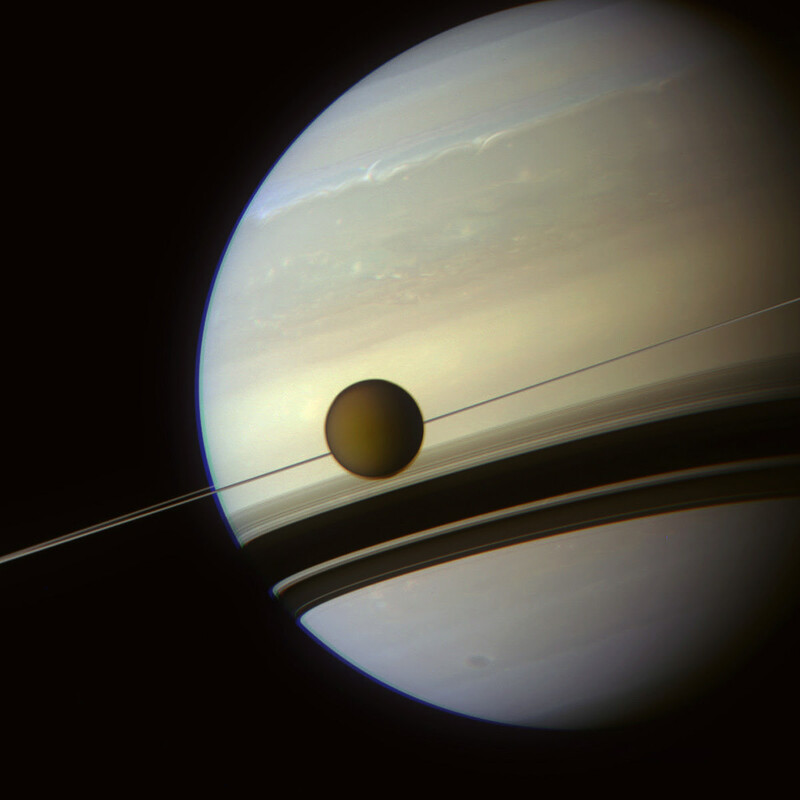 What Has Cassini-Huygens Discovered on Titan? What Has New Horizons Discovered at Pluto? 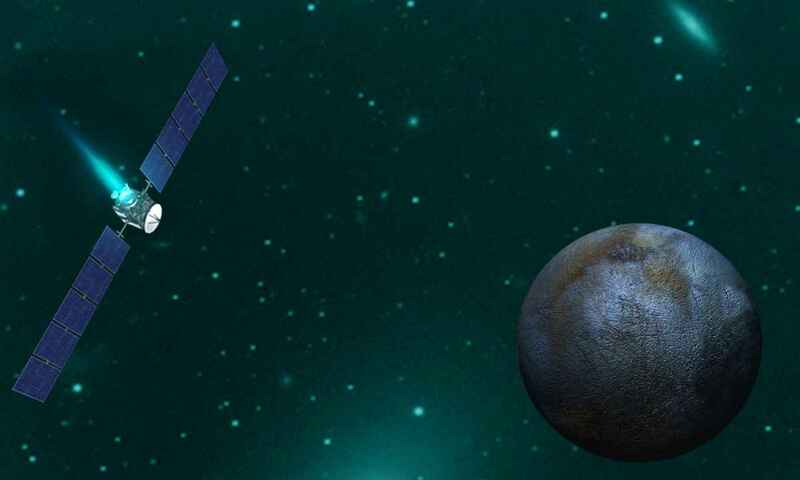 What Science and Discoveries Has the Dawn Spacecraft Found on Dwarf Planet Ceres? Thanks, COOL. They are amazing places. Agreed Greensleeves. That July day was a realization of much speculation on everyone's part. We finally got to see Pluto almost 85 years after its discovery! Thanks for your reply Leonard. That seems to make sense re-Nix. Perhaps it routinely undergoes changes in its rotation of this kind as it interacts with other moons. Interesting stuff! Seeing the first detailed pictures of Pluto and Charon a couple of years ago, was for me one of the most exciting good-news stories of the 21st century. Hi Greensleeves, thanks for the comment! I agree, we do have an amazing amount of science coming in that will pay off for years to come. The likely reason for the rapid fluctuation of the orbit of Nix is the chaotic tango it weaves with the other moons of the Pluto system. Couple that with its odd shape and it is sure to gain/lose some angular momentum from time to time. Thanks Leonard. Nice to see this article about the latest information on the moons of Pluto. 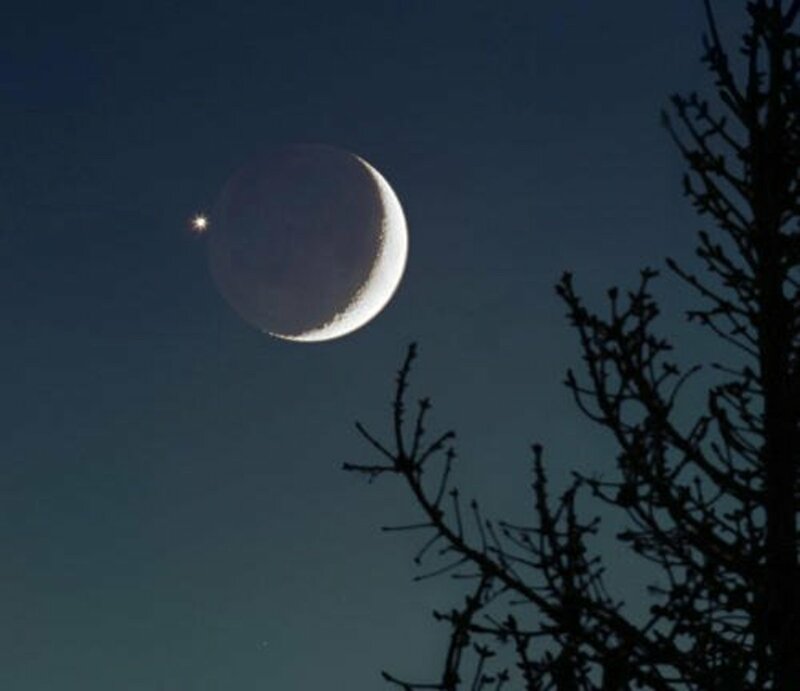 Too few people appreciate what extraordinary times we live in, when every year new moons and minor planets are being discovered in our own solar system, and many new facts are being discovered about the ones we already know. And the geology of these worlds is so strange, we can only speculate on the possible origins.